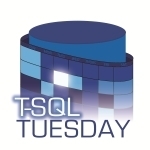 Time for the first T-SQL Tuesday of 2011. This month Jen McCown (Blog | @midnightdba) is hosting the event. The topic she chose for this month is Resolutions. I’m game. I’ll likely not go too crazy. Probably similar to many others, my resolutions are more like goals. Some of these are part of the Professional Development Plan that I have worked on with Digineer. Others are outside of that by tying them directly into what I want to be when I grow up. My main goal for this year will be to learn more about SQL Server and share that information with others. I’d like to expand the depth of this knowledge to the point where I have a deep understanding of how SQL Server works and how to architect solutions with it. At the same time, I’d like my peers to see me as someone that also has this knowledge and can be relied on to provide knowledgeable and accurate answer about SQL Server. Take the MCM Lab Exam. Once I have accomplished the first goal. I’d like to take the Microsoft Certified Master for SQL Server lab exam. I already plan to take the written exam in February of this year. The real question is when will I take the lab and that will definitely depend on when I feel I have accomplished the first goal. Become a Microsoft Certified Master for SQL Server. Of course, if I accomplish the first item and pass the second I’ll be an MCM for SQL Server. I have this as it’s own activity because I may not pass the MCM Lab Exam the first time. Not passing isn’t a crime. But skipping the second goal wouldn’t be good. I want to be an MCM for SQL Server – but the title is only a result of already succeeding in becoming one. Over the past few years I’ve done what I believe to be a decent job of networking outside of my local SQL Server community. Unfortunately, I haven’t done the same locally. When people ask me about local talent I often come up dry with names. I know a few people but they are only a fraction of the people that come to our meetings. This year I am Chairperson of the board that runs the local SQL Server user group (PASSMN). My goal is to meet a few new people every month at the meetings. I want to use those acquaintances to help build a stronger community and stronger personal network. Average 1 blog per weekday. Throughout the year blogs typically have peaks and valleys in the rate in which posts are published. If you’ve been following my blog, you may have realized that I am in a bit of a peak mode at the moment. There are a few topics that I started for some external reasons and I got myself into a position of having three active blog series. But once these series wrap up I want to continue to post regularly. At that end of this year, I want to have averaged one blog post per weekday. Yeah, I want to present more. With the upcoming wedding and honeymoon being planned, my SQL Saturday budget for this year has been slashed. I’m not complaining, though, it is making it difficult to get out to SQL Saturdays. At the same time, I realize that I have a lot of presentations that people really enjoy. So I’m going to be hitting up user groups and other events that are within a few hours drive to see if I can present to them. For groups outside of the drive-able area I plan to offer up my time for webcasts. Lastly, I am hoping to find alternative means to attend SQL Saturday events. Just because I have less personal resources for these events doesn’t mean I don’t have the time. I’d like to find some creative ways to be able to attend SQL Saturday events as a presenter without having to choose between another layer on the cake or that SQL Saturday. This one is pretty simple. As I mentioned in the last section, I have a number of presentations that are ready for presenting. I’d like to have this information available to those that can’t get to a meeting or webcast that I am presenting the materials. This can easily be done with a little bit of time and uploading to a video site. Also, I’ve noticed that some blogs I’ve written may have been better explained and demonstrated through a webcast. I plan to take some of my more popular posts and records webcast versions of those for those that are less inclined to read those posts. With everything listed above, it sounds like I plan to work more. When in reality I want to work less. Last summer between June 1 and August 1, I was only able to get out to the lakes for jet skiing a single time. This is completely unacceptable. Also, until the last couple weeks I hadn’t played games on the X-Box in months (I’m Daladmera on X-Box Live if you are interested). A lot of this was due to working on projects that went outside core work hours, and poor planning on when I could get work done. This year, I plan to address this head on and keep free time to myself and my hobbies. By the end of this year, I don’t plan to be in a position where I need to ask to rollover vacation hours that I wasn’t able to use. There will be more me time.